Seminar on Guangxi children’s self – protection with legal education was held in the Former Residence of Soong’s Family on November 10. Zou Wei, SSCLF’s executive vice chairman, Wang Li, SSCLF – Sunshine Children's Rights Protection Fund secretary general, Qin Jianlong, president of the Guilin Legal Volunteer Association and Wang Hui, a member of Guilin Municipal Communist Youth League Committee, exchanged views on how to enhance children's self-protection awareness and ability through legal education and body defense training and reached the intention of cooperation. In recent years, the campus bullying, children sexual assault and other vicious events have occurred from time to time, and victims suffering serious harm physiologically and mentally. Therefore, the protection of minors has once again become a hot topic of social concern. 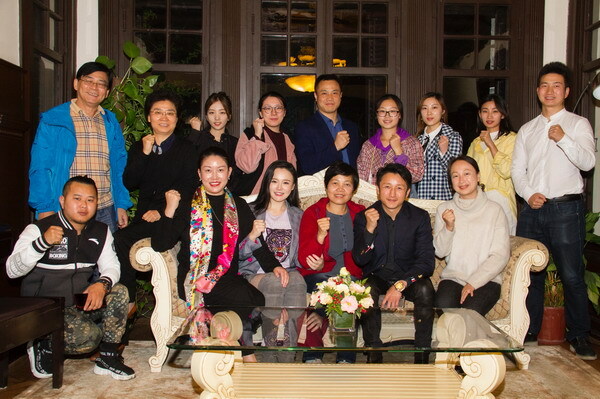 The Olympic boxing champion Mr. Zou Shiming also attended the seminar, demonstrated a series of effective self -protection skills, and made a number of constructive suggestions for children’s self-protection training.